Forest fires are not a serious threat to populations of Spotted Owls, contrary to current perceptions and forest management strategies. 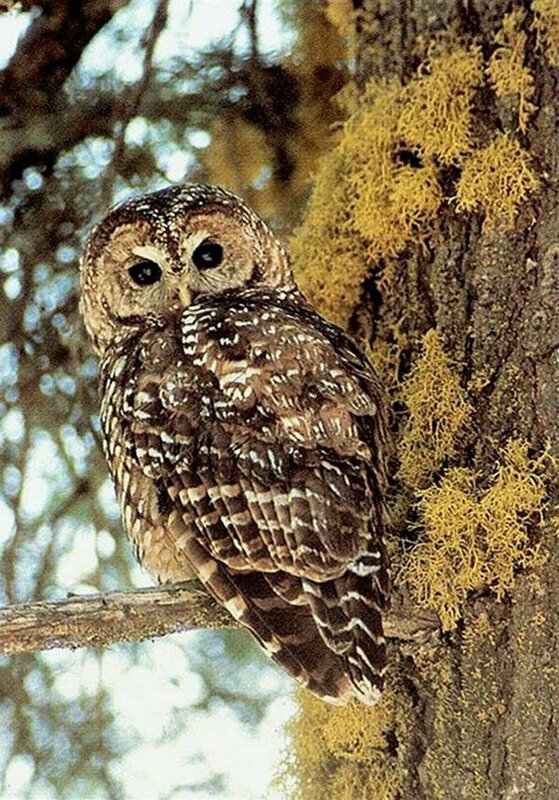 According to a new study, mixed-severity fires actually are good for Spotted Owl populations, producing more benefits than costs to the species, which acts as an indicator of biological health to the old-growth forests where they live. The study, which analyzed all 21 published scientific studies about the effects of wildfires on Spotted Owls, appears July 24 in the journal Ecosphere and suggests that management strategies for this species are outdated. "Current management strategies targeted at protecting Spotted Owls are prioritizing what is called fuel-reduction logging, which removes trees and other vegetation in a misguided and ineffectual attempt to reduce the severity of future fires," said Derek E. Lee, associate research professor of biology at Penn State and author of the paper. "But this tactic removes canopy cover and large trees that are important for Spotted Owls and does not generally reduce fire severity of big, hot fires. The idea behind these logging projects is that the risks from wildfire outweigh the harm caused by additional logging, but here we show that forest fires are not a serious threat to owl populations and in most instances are even beneficial. This reveals an urgent need to re-evaluate our forest management strategies."